Yard signs are a great choice for yard sales, reunions, welcome home signs, political signs, real estate signs, team pride, and more. These signs make a statement and still keep your neighbors happy. Our custom yard signs are made from high-strength material. You can use again and again - you'll be ready to attach a new sign for your next event, too! 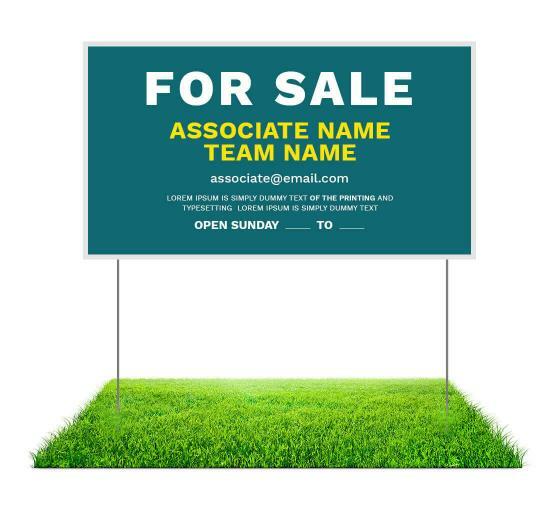 We offer economical real estate yard signs you can use again and again. Changed your broker or tag line? Just order a new set and you-re ready for your next open house. With our custom yard signs, you choose from a non-reflective finish, a reflective finish that lights up at night, or a high-intensity finish that "pops" both day and night. Use our templates, design your own, or work with our design team for the perfect yard sign. Choose from a variety of sizes as well. 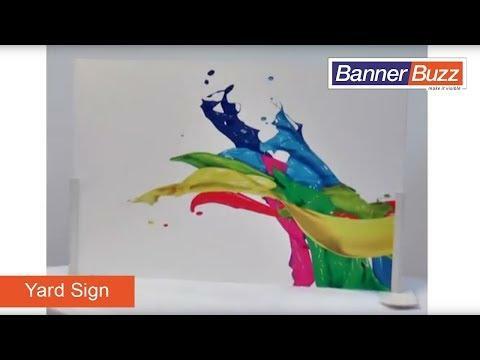 Order your custom yard signs from BannerBuzz and get your message out today! Material:polypropylene Virgin extruded corrugated sheets.